Whether you are taking the plunge for the first time, learning some news diving skills, refreshing your diving knowledge, or contemplating a career in recreational Scuba Diving, Mike’s Dauin Dive Resort is the place to come for relaxed, professional courses run by our accredited PADI Instructors and Divemasters. Scroll down for a full list and explanation of the various courses available at Mike’s. For all our latest prices, please click here. Many PADI courses have options to begin your training online before you arrive at Mike’s, called eLearning, or Offline (Touch), reducing the time spent on the course, and reducing our prices accordingly. You can find out more by visiting PADI’s eLearning website. Everyone wishing to undertake scuba diving training or experience must be able to answer NO to all the medical questions in the Diving Medical Statement form. If you can’t say NO to all the questions, you will need to get a doctor to sign the second page to say that you are fit to dive and you will need to bring this with you. If you have never dived before, this is where to start. The half-day PADI Discover Scuba Diving Experience will introduce you to the simple basics of scuba diving, and in the company of one of our qualified PADI professionals, you will start first in the pool, getting to know the few basic skills needed at this stage to be safe and comfortable, then move on out into one of our local Marine Parks to experience life beneath the waves! If you get hooked, and many do, it is usually possible to count this experience as the beginning of your PADI Open Water Scuba Diver training and certification with us, and it which case, this Experience will be free! You can also add extra fun dives once you have completed the first Discover Scuba Diving Experience for just 2,500php per dive. Arguably most important scuba course of all, gaining your PADI Open Water Diver certification is your passport to a life of fun and excitement underwater! The course provides you with a thorough grounding in all you need to know to be safe, competent and confident underwater. Your instructor will introduce you to the essential skills you need to master as a diver in shallow water at first, building to a diving to maximum depth of 18m/60feet. 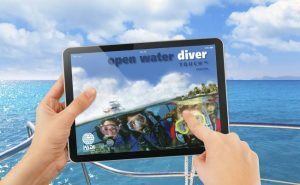 You can also complete some of your learning in advance either online using PADI’s Open Water Diver Course eLearning option, or offline using PADI’s Open Water Diver Course Touch offering. This can reduce the average time taken to complete the course, leaving you to concentrate on simply getting wet! To find out more about eLearning or Touch, click here to access PADI’s website where you can review prices and sign-up. Our price for doing the Open Water Course online is 13,200php. Note that PADI Scuba Diver is a shorter version of the Open Water Course, and qualifies you to dive to a maximum of 12m/40ft in the company of a PADI Professional. This option is sometimes useful is time is limited. 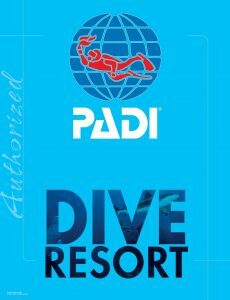 Our price for PADI Scuba Diver is 13,000php. You may also choose to take part of your course (Theory, swimming exercises and Pool / Confined Water Sessions) with a Dive Center at home, then complete the course here with us, with just the 4 Open Water dives left for certification. 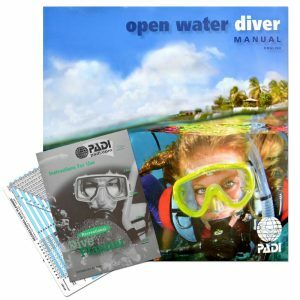 This is known as a PADI Open Water Referral, and is a popular choice for students who wish to train and learn at home, leaving more time for “fun diving” on holiday when the course is over! 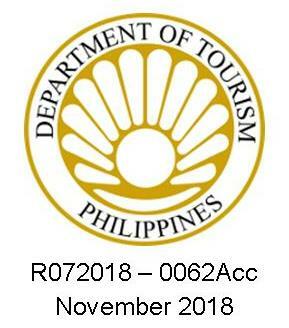 Our price for an Open Water Referral is 10,000php, and assumes we are able to use the certification you will have purchased along with your manual through your referring Dive Center. There will be an Open Water Course learning option to suit you – just get in touch and we will find the best solution for you. The PADI Advanced Open Water Diver course expands your diving experience through five Adventure Dives, each one with a different “theme”. The Deep and Underwater Navigator Adventure Dives are mandatory, and extend your certification depth to 30m/100feet and build on the navigational skills you will have gained during your basic diving training. Three further Adventure Dives from a menu including Night Diving, Drift Diving, Digital Underwater Imaging, Fish Identification and Peak Performance Bouyancy and more complete the course over just two days. There are no quizzes, tests or final exams to pass – simply reviews with your instructor to check your understanding of the key concepts for each Adventure Dive that you will have learned through reading the Adventures in Diving Manual, or completing the learning online or offline through PADI’s eLearning / Touch offerings – click here for more details. Our price for the Advanced Open Water Course online is 12,500php. A note of clarification – If you have only a few dives logged, don’t think that becoming an Advanced Open Water Diver is beyond your reach. The course offers a perfect opportunity to build your confidence, knowledge and expertise with the close attention of a qualified PADI Instructor, whatever your level of experience. 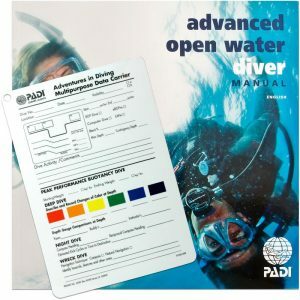 Prerequisites – PADI Open Water Diver (or equivalent). The PADI Rescue Diver Course is often cited by students as the most enjoyable of all the PADI training courses! Over three days, your instructor will work with you to raise your awareness of the potential difficulties divers can find themselves facing, and develop skills to help avoid, but if necessary, handle diving emergency situations. Expect to get to know your instructor extremely well, as you will be spending plenty of time rescuing eachother in lots of different circumstances! A PADI Rescue Diver is trained to recognise signs of stress, fatigue and illness in themselves and others, learn appropriate responses to life-threatening situations such as missing, unconscious or non-breathing divers, and in general be better prepared for the unexpected. The PADI Rescue Diver course also comes with the option to complete some of the learning in advance, either online through PADI’s eLearning system, or with an offline app offered though PADI’s Touch system. Click here to access PADI’s website to find out more information about either of these two options. Our price for the Rescue Course online is 13,700php. Prerequisites – Emergency First Response certified (or equivalent) in the last 24 months. 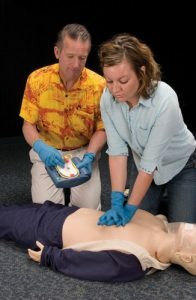 The Emergency First Response (EFR) course gives you vital training in potentially life-saving techniques that apply to any scenario – not just Scuba Diving. Covering Cardio-Pulmonary Resuscitation (CPR), Primary Care (First Aid) and Secondary Care, EFR prepares you to respond to emergencies requiring medical care. Whilst the course does not train you to be a substitute for Emergency Medical Services Professionals, the skills learned during EFR may truly make a difference in an emergency. There are no prerequisites for EFR, but it is frequently taken immediately prior to the PADI Rescue Diver course, as the skills learned in EFR are applied extensively in that course. Diving with a cylinder filled with Enriched Air (Nitrox) simply means you are absorbing less Nitrogen with every breath compared with diving with normal air. The benefits of this include the additional safety of staying well within the limits of recreation diving with regards to Decompression Sickness, and having extended dive time at depth, giving you more time to spend on some of our deeper sites before returning to shallower depths. The Nitrox course doesn’t require any dives to be undertaken, and as such is ideal for that day when you are not diving. 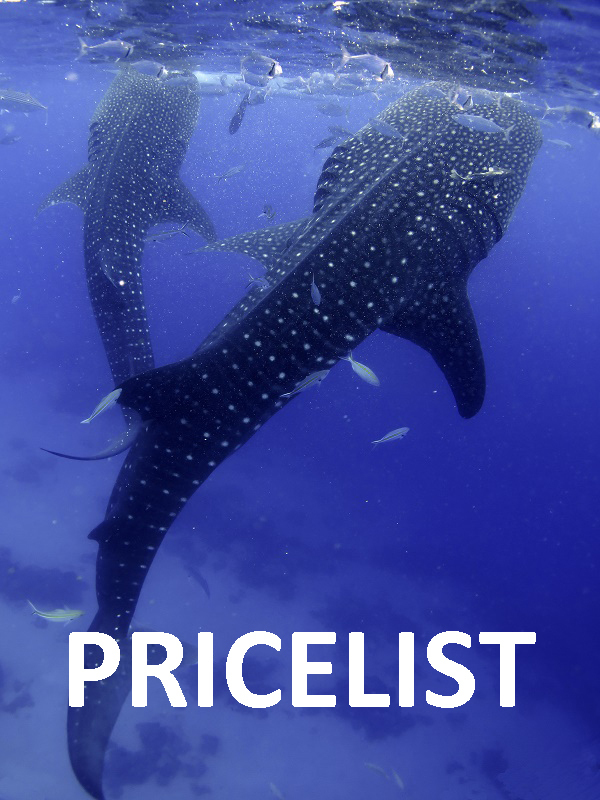 It can also be combined easily with dives, at 2,000php per dive. 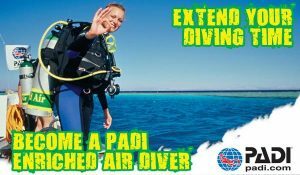 combined with any other PADI course. 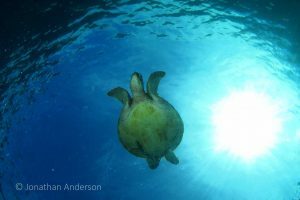 The PADI Digital Underwater Photography course provides an excellent grounding in how to capture great underwater images, even if you don’t think you are much of a snapper to begin with! 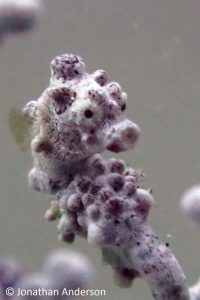 Digital cameras have revolutionised photography in general, and this is especially true underwater. With a modest compact digital camera in a watertight housing, it is possible to produce some wonderful images to be proud of, with only a day’s tuition. We have cameras to rent if you haven’t got your own, and even if you are already relatively experienced shooting pictures underwater, the course is a great opportunity to “focus” (!) on improving your skills or get to grips with a new camera system with two dives dedicated to taking pictures. More experienced photographers may wish to take advantage of our range of Photography Activities and Services. 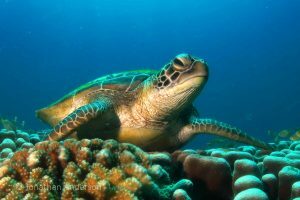 Ever wondered why your dive guides seem to breath water, and move as effortlessly as a turtle? Is it because they are actually a fish, or maybe that they have truly mastered the art of Perfect Buoyancy?! Help is at hand with the PADI Peak Performance Buoyancy Specialty course. 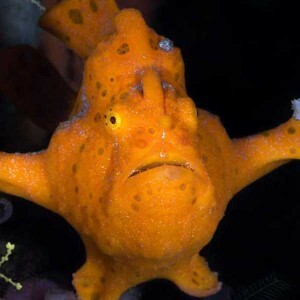 It is not as hard as it seems, and with these two dives you get to focus on getting your weight and distribution just right, move more efficiently through the water, extend your dive time by being more relaxed, and become as graceful as it’s possible for humans to be compared with our fishy friends! Over 3 or 4 dives, the PADI Deep Diver Specialty course extends your depth range to 40m / 120ft. You learn more about the effects of depth on your body, how to plan effectively for deep dives, and the use of specialised equipment and procedures for deep diving. The are any number of dive sites here that are infrequently visited below 25m / 80ft, so this course takes you into relatively uncharted territory! 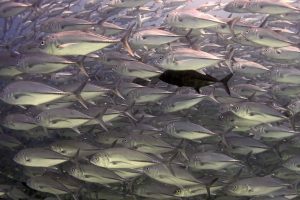 A drift dive is any dive where you start and end in a different location. Most commonly, drift dives start from a boat, and the boat collects you wherever you end up. You may well have already had some experience at diving in a current, but this course concentrates on more than just current diving, as there are special procedures and planning considerations that need to be understood to properly conduct drift dives safely. There are many opportunities here in Dauin and Apo to experience drift diving at its best, so this course can be easily blended with a day’s diving to get you comfortable and confident in your drifting skills anywhere. If you enjoyed a particular Adventure Dive during your PADI Advanced Open Water Course, did you know that in most cases, a PADI Specialty certification in that discipline is only one more dive away? For example, if you did Peak Performance Buoyancy Adventure Dive as part of your Advanced Course, the Peak Performance Buoyancy Specialty certification is just one more dive away. An ideal way to progress towards the coveted PADI Master Scuba Diver rating, for which you will need 5 Specialty qualifications, and as upgrades are one dive less than the full Specialty, you are saving money as well! Prices depend on what Specialties you are considering, so please get in touch. The PADI Divemaster course sets you on the first rung of the professional recreational scuba diving ladder. At the end of the course, your skills will be at Instructor-level, your knowledge of the core PADI training courses will be extensive, and your understanding of standards, guidelines and best diving practice will be second-to-none. They have to be, because as a PADI Divemaster, your duties and responsibilities will include guiding certified divers, assisting Instructors in training students, conducting refresher dives for divers who are out of practice, getting hands-on in the day-to-day running of a diving operation, and much, much more. 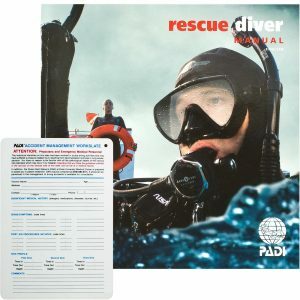 Prequisites – PADI Rescue Diver (or equivalent), current EFR certification (or equivalent), minimum 40 logged dives.